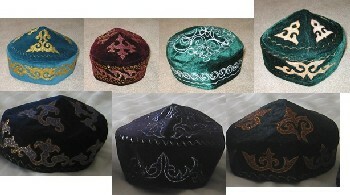 These are traditional Kazakh hats made with velvet and embroidered. These colors are usually available, but not necessarily the exact shade. If the embroidery style is important, please describe to us what you are looking for.